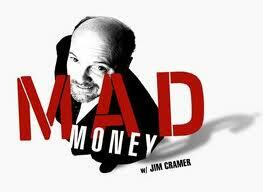 Jim Cramer's "Off the Charts" segment used Carley Garner's crude oil chart analysis in the May 28th show! The strength in oil prices may not be terribly long-lasting. That's the broad takeaway from technical analysis provided by Carley Garner, author of "A Trader's First Book on Commodities." Although Jim Cramer is first and foremost a fundamental investor, he often turns to technical analysis for insights, especially when an analyst has an impressive track record. And Cramer says few analysts have been more accurate than Garner. "So, when Garner says to be cautious about crude, I take her seriously." DeCarley Trading works hard to provide clients with quality insight into the markets. One of our recent issues of the DeCarley Perspective focused on this topic was featured on CNBC's Mad Money on May 28th. The DeCarley Perspective is a publication distributed exclusively to DeCarley's brokerage clients. If you are interested in being part of the loop, open a trading account today! Click here to check out the video archive of the May 28th Mad Money segment featuring DeCarley analysis!